The attorneys at TMF & Associates have been fortunate to represent several trucking companies, each with substantial fleets. 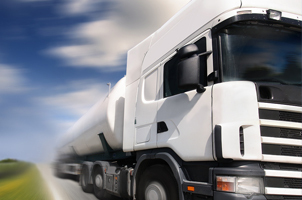 Our attorneys have also been retained by various insurance companies to handle trucking litigation for trucking company insureds and their drivers. We feel it is crucial in our representation of trucking accident cases to provide a quick reponse and to arrive at the scene as soon as possible to obtain and preserve critical information and evidence. We may also quickly engage the services of a re-constructionist to survey, inspect, photograph and measure all aspects of the accident scene. Acting quickly to preserve evidence provides us the ability to quickly and thoroughly evaluate the information and provide sound counsel to our clients regarding further proceedings. If a case proceeds through litigation, we act aggressively and pro-actively on behalf of our clients. We also take full advantage of the most modern technology and some commercially available products such as Google Earth to provide a compelling presentation of the scenes and events at issue.